Questions of child custody and visitation rights are always the primary concern of divorcing couples with children. It only makes sense for you to want to have as much time with your children as possible following the divorce. You want child visitation rights that reflect your value as a parent and give you the ability to foster a relationship with your children in the years to come. At Infinity Law Group, we work with clients to help them get the visitation rights they need and they deserve. We understand how important these matters are to you, and we will work tirelessly to help you get the outcomes you are hoping for from your divorce. There are two basic paths that a divorce can take that can drastically affect the outcome of child visitation rights. The first path is one where, working with your divorce attorneys, you and the other parent determine child custody and child visitation plans that you will adopt as you move forward to end your marriage. If you can both come to a reasonable agreement, your attorneys can present this to the court and it will most likely be adopted. After the divorce, you will both adhere to the plan you created. The second path is one where child custody and child visitation are contested. You and the other parent may not be able to come to terms that you feel are fair or equitable, and you may need to fight for your position in front of a judge. 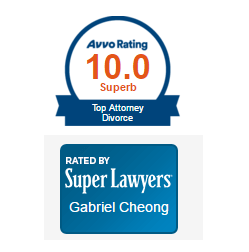 As your divorce attorney, I will use all my experience and skill to seek a successful outcome in your case. However, ultimately the decision is always up to the judge. He or she will be the one to decide the final child custody and child visitation plan, and his decision will be legally binding. At Infinity Law Group, we always want what is best for our clients and their children. We advise all of our clients to take the first path if at all possible. The judge rarely makes a decision that either party is completely happy with, and a protracted legal battle between two parents can be expensive and hard on any children involved. Of course, there are some situations where the first path is just not an option. You may be open to having a discussion with the other parent, but he or she may not be interested in this. There may also be circumstances, such as the other parent being unfit or unsafe to spend time with your children, that you cannot in good conscience agree to any terms that the other parent offers. If this is the case, you can expect us to stand with you moving forward. The first term you should be familiar with is legal custody or decision-making authority. Legal custody defines which individuals are legally allowed to decide issues like education, health care and religion. Generally, the court will allow both parents to have custody – referred to as joint legal custody – unless there are undesirable circumstances that dictate otherwise. Legal custody is typically not what legal arguments are about between parents, but rather physical custody and the visitation agreement. Physical custody determines who the child primarily physically resides with. The parent with physical custody will be the one with the child for the majority of the time. Once the judge makes a final decision on physical custody, it takes further legal action to revise it. This is why so many divorcing parents are extremely concerned with physical custody situations. Physical custody does not have to be an all or nothing decision, though. Often physical custody can be shared between parents as well. The parent with the majority of physical custody is referred to as the custodial parent. Often referred to as parenting time in Massachusetts, visitation determines when the non-custodial parent will spend time with their child. Visitation may be on alternating weekends or much more complex, depending on the circumstances. The visitation guidelines that the judge gives will greatly affect how the non-custodial parent interacts with their child. It is extremely important that if you suspect you will be the non-custodial parent, you seek assistance from an experienced attorney when pursuing visitation rights. You want a final decision that gives you the access you need to your children. At Infinity Law Group, our lawyers offer free consultations to help you better understand your rights and your options moving forward. We will do our best to see that you get a visitation schedule that will allow you to have a quality relationship with your children. Contact us now so we can start helping you.